S4M stands for Students 4 Migrants, a project in PBG that relates directly to migrant workers. Our project is split into two sub-projects each focusing on a specific group of migrant workers; domestic helpers and construction workers. These migrant workers face a myriad of legal issues that can be complex in nature, and they often do not have the means or knowledge to solve these problems – from salary issues, to contractual issues, and even criminal issues. Students help make relevant law accessible to foreign domestic workers, through legal education workshops. The purpose is to raise awareness of legal rights, liabilities and responsibilities, and of self-help remedies like alternative means of conflict resolution. The previous batch of presenters will be working alongside a new group of student presenters (4-5 students) with the aim of training them. In addition, they are involved in expanding and refining the current scope of the workshops. HOME is also exploring the possibility of students developing written course materials such as informative brochures, pamphlets etc that FDWs can refer to. Students will take part in a 6-week internship, working in various areas including: at the HOME Help Desk; legal clinic; research on trafficking in persons; accompanying workers to relevant meetings; and helping with the organization of a regional meeting on legal aid for migrant workers and victims of trafficking in ASEAN. There will be two cycles of internships involving two students each, and the internships will take place at HOME’s Waterloo Centre and Geylang offices during office hours from 10am to 6pm. Students assist staff with client interviews on-site at the HOME Help Desk at Waterloo Centre (in the later part of 2014, this may shift to HOME’s new office in Geylang). Recently there have been a number of Philippine Overseas Employment Administration (POEA) cases involving claims by Filipino domestic workers for employment agency fees. Students may accompany clients to lodge claims at the Ministry of Manpower and to meetings with pro bono attorneys. Students help explain the process, translating between English and Mandarin, Bengali or Burmese, as well as serving as a friendly face and providing support. Common difficulties faced by construction, maritime and other non-domestic workers include: unpaid salary, work injury compensation, contract substitution, termination of employment, and more rarely, criminal defence cases. These legal clinics provide free legal advice to domestic workers. At legal clinics, students will sit in with lawyers and assist by taking notes, conducting interviews with the domestic workers, and performing administrative duties. Around 4 students are involved in each clinic. The FAST workshops will have a similar scope to the HOME workshops. The same principles and formats will apply, and the program will run in tandem with the HOME workshops. These workshops have a similar scope to the HOME and FAST. The same principles and formats will apply, and the program will run in tandem with the other workshops. Students are attached to TWC2 five days a week over a 5 to 6-week period (including at least one Sunday). Generally, working hours are from 12pm to 9pm. The proposed scope of work is as follows: firstly, students will investigate the average duration workers who have suffered work injuries spend undergoing medical treatment and awaiting the outcome of injury compensation claims. Secondly, students will work on improving the TWC2 database, assist in updating records, chart the progress of cases, and find out about common salary deductions and medical difficulties. Thirdly, students will shadow TWC2’s case workers, assisting them in their work. This will also involve helping workers prepare for their labour court hearings. Students may also accompany workers to medical appointments on an ad hoc basis, asking the doctor questions relevant to the worker’s treatment and explaining them to the worker. From L-R: Charmaine, Ashley and Sanjana (Students during their internship at TWC2 interviewing migrant workers). 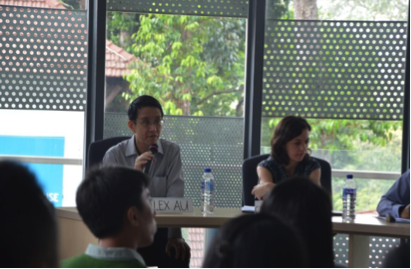 Fellows will be engaged in legal projects on behalf of victims of labour exploitation and human trafficking, covering Singapore and other countries in the region. As a Fellow, you will take on a leadership role in one or more specific projects that include identifying and preparing cases for potential litigation, strategic legal research to support future litigation, and coordinating with partners across the region on an ongoing project involving Singapore, Indonesia, the Philippines and Hong Kong, among others. We are looking for students who are interested in our issue area, are self-motivated, can work in a team and are not afraid to take on new challenges outside their comfort zone. While experience with migrant worker issues is a plus, it is not a requirement. To ease students into the project, we hold an informal interaction session with workers at HealthServe’s Tai Seng Community Centre. Intended to help familiarise students with interacting with migrant workers, we have bonding games and engage in conversation with the workers to learn more about them. MWC is a government-funded migrant worker organisation which tackles a diverse set of problems which plague migrant workers in Singapore. Project BoB conducts legal education workshops for workers at their dormitories in collaboration with MWC. These workshops are focused on salary and work injury matters because these are issues commonly faced by workers. We also utilise specially-designed games such as trivia games or games of chance to reinforce our message. 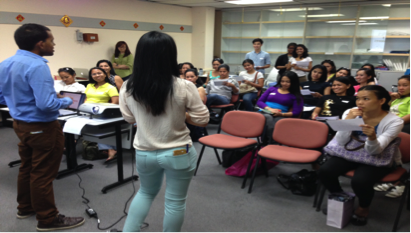 We work together with HOME to conduct legal education workshops for their workers. Our students work alongside local medical students at Caring Community Clinic, a community medical clinic catered to migrant workers. We give out legal information pamphlets to workers waiting in the queue for medical treatment, while also highlighting pertinent information such as MOM and NGO helplines and the basic legal rights that each worker possesses. Interested students will be involved in MOM’s frontline operations such as handling the salary or work injury claims of migrant workers and providing basic advisory services on employment issues. They will also shadow enforcement officers during audit checks on employment agencies and case officers handling individual workers’ cases. Our students will have the opportunity to take part in MOM’s employment clinics after undergoing a training session by MOM personnel. During these clinics, they are frontline personnel who help record and classify the workers’ employment-related issues. They will then be filed as MOM cases and dealt with by the relevant MOM personnel. S4M members who are involved in our projects will get to interact directly with migrant workers. Beyond communicating legal information, students will also obtain a deeper understanding of the legal and regulatory landscape pertaining to migrant workers.